Why assume water is what we hope it to be? 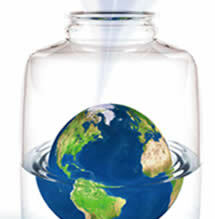 Water is the lifeblood of all existence. Whether it is used for drinking, cooking, heating, bathing or swimming, we all rely on clean water. If you and your family are supplied with water from a private well, it is your responsibility to ensure its safety and quality. By having EAI Analytical Labs test your water, you will be empowered with the knowledge of what contaminants are present in your water supply and what you can do to protect the health of you and your family. This useful and free site helps private well owners better understand their lab results. A summary can be generated to indicate whether the items tested meet or exceed the federal and state drinking water standards, as well as, water treatment systems and options based on the water quality information and possible health concerns if the problem is not fixed. EAI Analytical Labs is an experienced water-testing laboratory located in Swanzey, New Hampshire. We perform complete water collection, sampling, and laboratory analysis of all drinking, waste, and recreational waters including: lakes, ponds, streams, etc. Committed to providing total customer satisfaction through quality service and strong business relationships. EAI Analytical Labs performs private well testing and commercial well testing, and analysis, for the following New Hampshire counties: Cheshire, Hillsboro, Merrimack, Sullivan, Rockingham, Strafford, Belknap, Grafton, Carroll, & Coos. Vermont counties: Addison, Bennington, Caledonia, Chittenden, Essex, Franklin, Grand Isle, Lamoille, Orange, Orleans, Rutland, Washington, Windham, & Windsor. Massachusetts counties of: Barnstable, Berkshire, Bristol, Dukes, Essex, Franklin, Hampden, Hampshire, Middlesex, Nantucket, Norfolk, Plymouth, Suffolk, & Worcester.